"This bag is cute! I think that I would use it all the time if it had turned out the bag in the book– with the oval bottom and leather straps. But, sometimes patterns just don't work as planned. 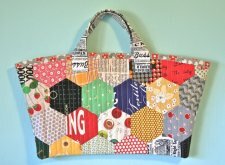 If I was to make the bag again, I would draft my pattern pieces before I sew and quilt my hexies. 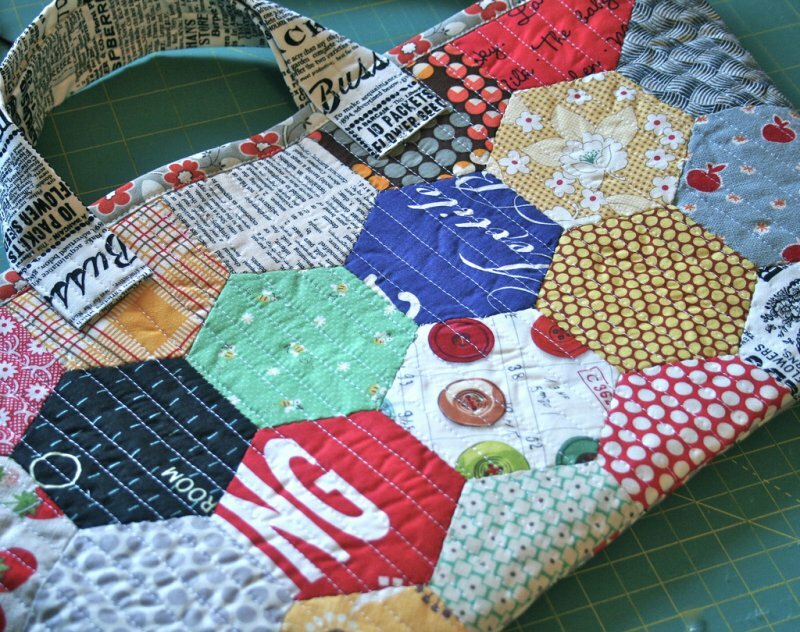 That way the pattern could be compared against the hexies, before they are quilted, and adjustments to add more hexagons could be made if the pattern piece is too large. This should eliminate the problem of the base and body not matching up." 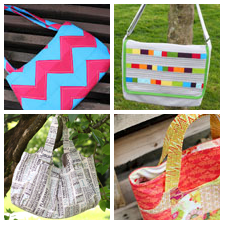 Be sure to check out the completed list of over thirty bag projects for all occasions by top designers over at Sew Sweetness! You will also find very useful information for your bag projects, such as bag interfacing, a tutorial on how to do an adjustable strap with a metal slider, and a tutorial on installing grommets and magnetic snaps. Check it out! Do you like this project by Tamiko?